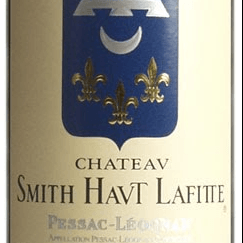 Chateau Smith Haut Lafitte, The style of our red wine is very classic, with a beautiful expression of our terroir of Günzian Gravel which gives unique smoky notes. Our majority of Cabernet Sauvignon, harvested at full maturity and softly vinified to extract only the silkiest tannins, unveils after proper aging its full potential for years long. The other grapes variety of our vineyard, the Merlot, the Cabernet Franc and the Petit Verdot add to the Cabernet Sauvignon their own aromas and participate in the typical harmony of our Cru Classe de Graves.